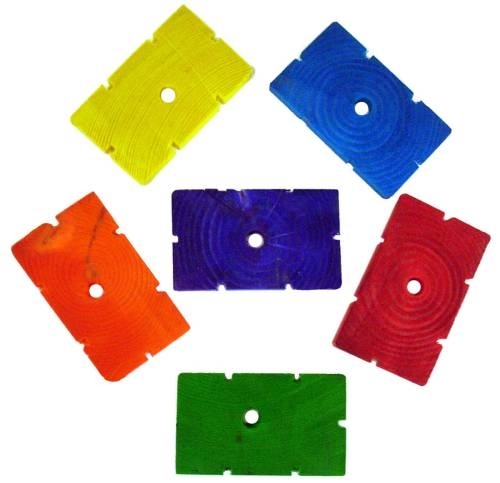 Colorful wood pieces, 2-1/2" long and 1-3/4" wide, 1/4" thick with notices and center hole. Various colors. Price is for one piece.